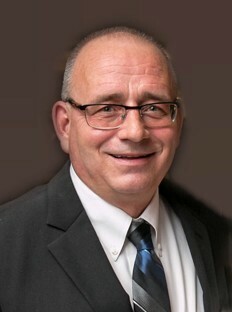 AKRON - Timothy Smith, 57, passed away March 19, 2019. He was born in Arlington Heights, IL to the late Allen and Jo Ann Smith. Tim was a wrestler at Revere High School graduating in 1979. He worked as a truck salesman for AMG Peterbilt Group. Tim loved the Cleveland Browns, dogs, watching movies and most of all spending time with his daughters and granddaughter. Preceded in death by his parents; He is survived by his daughters, Shanon (Joey) Marginian and Morgan (Jake) Corfman; and granddaughter, Kaletta Marginian. Friends may call one hour prior to a 11 AM funeral service on Saturday March 23, 2019 at the Clifford-Shoemaker Funeral Home 1930 Front St. Cuyahoga Falls, OH 44221. Interment will be at Chestnut Hill Memorial Park. In lieu of other remembrances memorials may be made to City Dogs Cleveland 9203 Detroit Ave. Cleveland, OH 44102. Services entrusted to Clifford-Shoemaker Funeral Home and Crematory, 330-928-2147.